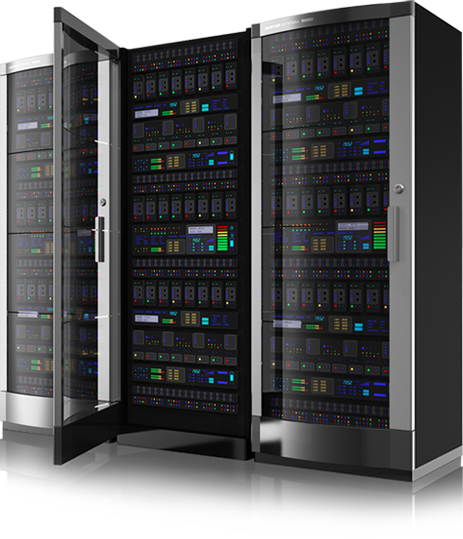 What makes Dedicated Servers stand out from the rest? Thanks to its partnerships with first-rate hardware and network providers can offer the latest technological advances and the best performances now and in the future! All our dedicated servers are protected by powerful anti-DDos which absorbs attacks and ensures that your services are always available. Anti-DDoS is includedwith all our servers. Through its global 4Tbps network, gives you the benefit of a guaranteed bandwidth and a burst service to handle peak capacity with UNLIMITED data uploads and downloads. We have optimised our internal processes to achieve record delivery times. And We Try To Provide Best Service For Our Client. What changes can we expect from the new range of dedicated servers? The Enterprise, Infrastructure and HG servers now come with the latest generation Intel Xeon v3 (Haswell) processors. Performance is up by 10% mainly because we’ve optimised the instruction sets and increased the RAM frequency. Dedicated Hosting Servers now come equipped with Intel Xeon D-1520 and D-1540 (Broadwell) processors. These 8 core/16 thread CPUs are extremely dense and optimised for virtualization. Note: Our Dedicated Server Haven’t Available control Panel now, but If you need anything need to mail us within 1 hour we will complete. How do you optimise the your server availability? ou can improve your service’s availability with a number of components. At the hardware level: hardware RAID or a redundant power supply; at the network level: the Failover IP which allows you to switch to another server, and the Load Balancing IP which gives you fault tolerance and balances the load. How do you save huge quantities of data? With our backup storage solutions, you can back up 1 TB to 10 TB data via the CIFS/NFS or FTP(S) protocols. Our HA-NAS servers offer a high availability managed backup solution and from 1.2 TB to 26.4 TB of backup space. For even more space, you can save up to 36 x 6 TB, or 108 TB in RAID 10 (FS-MAX) on the Dedicated Storage Servers.